Holonic manufacturing is a highly distributed control paradigm based on a kind of autonomous and cooperative entity called “holon”. 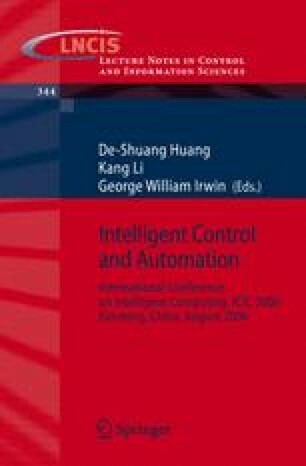 It can both guarantee performance stability, predictability and global optimization of hierarchical control, and provide flexibility and adaptability of heterarchical control. In this paper, A new class of Time Petri Nets(TPN), Buffer-nets, for defining a Scheduling Holon is proposed, A TPN represents a set of established contracts among the agents in HMS to fulfill an order. To complete processing of orders, liveness of TPNs must be maintained. As different orders may compete for limited resources, conflicts must be resolved by coordination among TPNs. A liveness condition for a set of TPNs is provided to facilitate feasibility test of commitments. which enhances the modeling techniques for manufacturing systems with features that are considered difficult to model. A scheduling architecture, which integrates TPN models and AI techniques is proposed. By introducing dynamic individuals into the reproducing pool randomly according to their fitness, a variable population-size genetic algorithm is presented to enhance the convergence speed of GA. Based on the Novel GA and the particle swarm optimization (PSO) algorithms, a Hybrid PSO-GA algorithm (HPGA) is also proposed in this paper. Simulation results show that the proposed method are effective for the optimization problems.